You are here: Home › In the news › Jacana Media announces Zoleka Mandela’s book, When Hope Whispers. 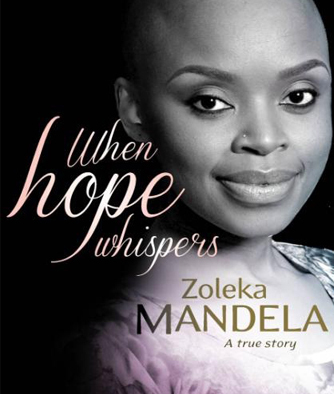 Jacana Media is proud to announce that we have secured the rights to publish Zoleka Mandela’s book, When Hope Whispers. Throughout this powerful book, Zoleka Mandela describes the many trials she has faced, from addiction and the loss of a child, to cancer. Her book is testament to the strength of healing. One Response to "Jacana Media announces Zoleka Mandela’s book, When Hope Whispers."